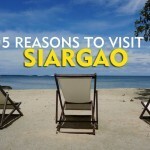 Other than riding the Cloud 9 waves, one of the activities you can do while in Siargao is island hopping. Guyam Island is part of the group of islands you’ll visit which also include Naked and Daku. Guyam Island may be small, but its picturesque beachscape, shallow waters, and tropical paradise appeal more than make up for it. Spend hours reading, lazing on the beach, or having a picnic on the island while taking a break from surfing. 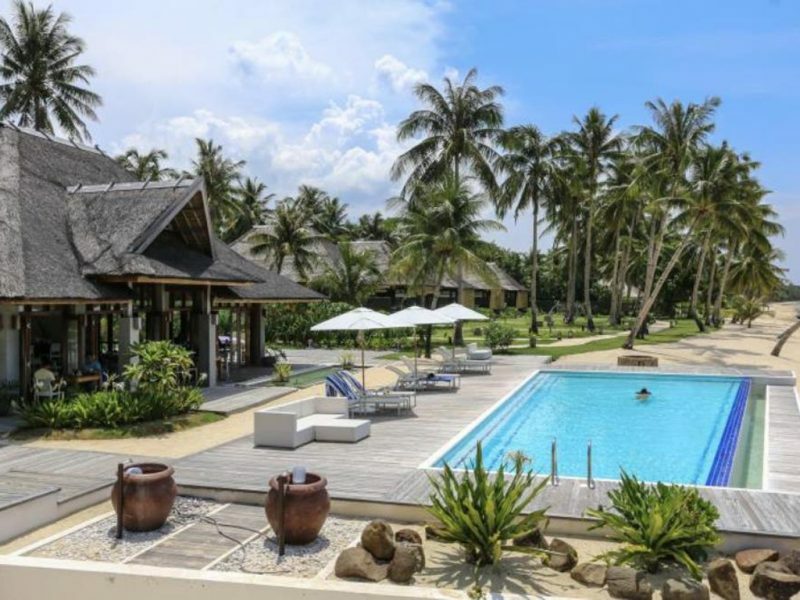 Direct flights from Manila to Siargao or Clark to Siargao are now possible. The travel time is about two hours. From Sayak Airport, get on a passenger van to take you directly to your hotel in General Luna. Note: General Luna has the highest concentration of accommodations and commercial establishments on the island. It is the usual base for travelers and surfers. The fare is P300 per person. The travel time is about 45 minutes. You can also transit via Cebu and then another flight to Siargao. 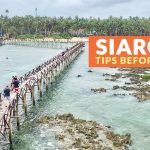 Alternatively, you can book a flight bound for Butuan, but you have to get on a van or bus to Surigao City to get on a boat traveling to Siargao. If you booked flights to Butuan, you’ll have to go to Surigao City first before you get to Siargao. There are regular vans and buses that ply this route; the non-air con van costs P200 per way and may take around 2 hours. Once in Surigao City, there are boats bound for Dapa, Siargao; a one-way ticket costs P250. The trip to the island takes around three hours per way. Entrance Fee: Guyam Island, along with Daku and Naked Islands, is part of Island Hopping Tour Package. Entrance fee is P30 per person. As of writing, Guyam has docking fee of P10. Camping Fee: Most of the time, it is the last stop when you go island hopping, so people don’t usually spend too much time here. Also, there are plenty of coconut trees, providing ample shade for the visitors. Cottage Rental Fee: As of writing, there are no cottages on the island. Island Hopping Tour Rates: Rates range from P800 to P2000 per head, depending on the travel/tour agency. It usually covers three islands (Naked, Daku, and Guyam), entrance fees, lunch, boat for the whole day, and guide. Check the package inclusions before booking. 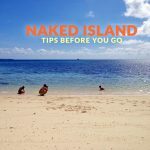 Guyam Island is a part of the island hopping trip which includes Daku and Naked Islands. 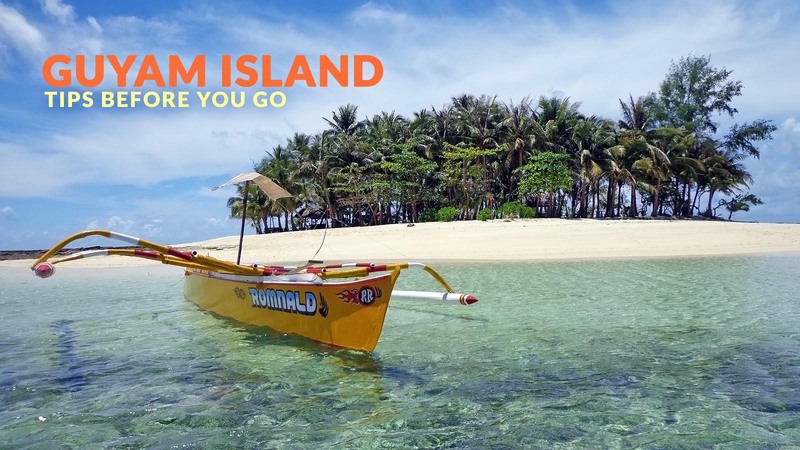 Guyam Island is an idyllic destination; its picture-perfect beachscape is characterized by emerald glass-like waters that are shallow enough to walk on during low tide and a small patch of cream-colored sand mixed with rocks/rock formations. Swim in its cool waters to douse the heat and relax and laze on the soft sand. Siargao has ATMs, but don’t rely on them. Bring enough cash for your entire trip unless you want to go to and from Surigao City to make cash withdrawals. There are stores, restaurants, and eateries in both Dapa and General Luna. 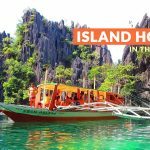 Bargain with boatmen to get the price you want for island hopping; remember that the price will depend on the size of the boat and your group. Bring your own surfboard if you plan to go surfing and do not want to pay rental fees. After swimming and enjoying Guyam Island and visiting the other islands of Daku and Naked, get on a motorcycle to Magpupungko Rock Pool. It has a unique landscape and a pool for swimming and diving. 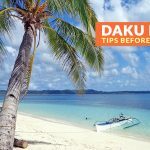 If you have a few more days to spare, visit Dinagat Islands’ attractions; the province also has a handful of beautiful beaches worth exploring. Before returning to Manila, catch the sunset in Mabua Pebble Beach which is near Surigao City. 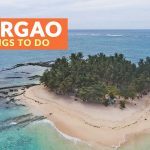 There are plenty of resorts and other types of accommodations in Siargao, here are some of the highly recommended resorts according to Agoda users (as of August 2017).